February 2010 - Get Ready to Ride with the River Hawks!Get Ready to Ride with the River Hawks! I was watching the Travel Channel the other day and one of those diner shows was on, the ones where some guy roams across the country in search of that perfect local eatery. This episode happened to have a place in NYC that sells deep fried candy bars. (don’t worry, I do have a point) Now, I thought to myself; that sounds disgusting, yet intriguing. Later on that day, (alright, here comes the kicker) I got an e-mail from the honors program about a trip to Mama Lia’s Pizzeria on Merrimack Street in downtown Lowell. It caught my interest, so I thought I’d check out their menu. While browsing their menu I scrolled across their dessert selection and, you guessed it, they sell deep fried candy bars. Upon reading this, I figuratively back flipped out of my computer chair. I’m surprised I haven’t brought this up before, but I love me some Moe’s. I haven’t been there for a while, then I went there a couple weeks ago and I was back in burrito heaven. They have a really cool menu, with catchy names for their items, such as the “triple lindy” (which I took to be a reference to the 1986 masterpiece “Back to School” starring Rodney Dangerfield), and the “homewrecker”, which is a monstrous burrito filled with your choice of meat plus all the fixings. They also have vegetarian options for those who want it. In other words, Moe’s treats me right. The best part about this place is how close it is to campus. It’s located in Chelmsford at Drum Hill Plaza right next to Walmart, which is only about a 10 minute drive from south campus. So the next time you and your friends make a Walmart run, I suggest you stop in and give it a try. Let us know what you think! This morning as I sat sipping my cup of Folders before class, I caught the 5-day forecast, which said rain would be sitting over campus through the weekend; not exactly the first thing that I want to see in the morning. But then I said to myself, this can’t be all bad. I mean, March Madness is just around the corner, which is 4 weeks of college basketball heaven, the Celtics did squeak out a win over the Knicks Wednesday night, and I even managed to pass a Calculus quiz this week. Want to be an Orientation Leader?!?!? The time has come to apply for the best summer job ever!!! If you answered YES to these questions, then boy do we have the job for you!! During the summer, here at UMass Lowell, a group of 30+ students get to have fun in the sun while teaching new students/transfers/UML parents about UML!!! The staff works really closely together and you make a whole group of new best friends!! If you’re interested in this opportunity, don’t miss out on selection weekend! Applications are due February 26th at 5pm!. The applications have all the mandatory dates that you will be required to attend if you are hired. Get ready to have a summer that you’ll never forget! Hope you’re all interested in applying!!! Once Friday afternoon hits, the Residence Halls become eerily quiet and the parking lots empty. Why is this happening? Is there really NOTHING to do here at UML?? 1. Students go home on the weekends to work. This is an important aspect because UML has many students that need to support themselves or want some extra cash to throw around. There’s nothing wrong with being homesick! I live about 2 miles away from campus and STILL get homesick! Go show your family some love every once in a while! 3. Students simply JUST DON’T KNOW that there ARE things going on. THIS IS IT, GUYS. THE BIG ONE. The main reason why students travel home on the weekends is because they DON’T KNOW that there are things going on!!! I just became a Resident Adviser in a Freshman building this semester, and I see this happen EVERY weekend! Students complain that the weekends here are soooo boring and that nothing is going on. So dramatic!!! Well, scratch that thought out of your minds!! 1. CHECK OUT THE “GOTTA BE HERE” CALENDAR EVERY WEEK!!!!!! I can’t stress this point enough. Our relatively new slogan of “Gotta Be Here” embodies the idea of staying on campus, getting INVOLVED, and just EXPERIENCING all that the University has to offer!! Seriously though, I know all you hear is “GET INVOLVED! GET INVOLVED!! ARE YOU INVOLVED? ?” But what is the point of going to a school with all of these great opportunities and experiences without even TRYING?? A number of students, at all sorts of Colleges and Universities, say that getting involved in things on campus was what really made their ‘college experience.’ The “Gotta Be Here” calendar highlights all the activities that go on at UMass Lowell. If you go to — http://www.uml.edu/student-services/gottabehere/—- and click the right hand side under “What’s Happening? Campus Calendar” and look at all of the things that really DO GO ON!! 2. FIND OUT ABOUT CLUBS AND ORGANIZATIONS YOU CAN JOIN!!!! Yet again, I cannot really stress the importance of this. It follows along with the ‘Gotta Be Here’ slogan! If you’re going to be HERE, then be here and DO SOMETHING! Do something fun, like Underwater Hockey or other club sports! Do something geared towards campus, like CAPA! Do some charity work, with WISE! The point is DO…SOMETHING. DO ANYTHING! Get motivated and work towards something, whether its increasing your social network or doing something that you believe in. Check out this website — http://www.uml.edu/student-services/student_activities/student_organizations.html —- to check out some FAQ’s on clubs/organizations. Well, I can only say so much in a blog, but I really hope I got my point across. There are TONS of things going on around campus, you just have to find them! Opportunities don’t just fall from the sky! Taking too much at one time? Hello there fans and readers! Are you a victim of taking way too much on and then being swamped in the end like Ben N.? Everyone gets that way sometimes. Being young and foolhardy, it can be difficult to balance work and play. Then you factor in that good ol’ Mr./Ms./Mrs. Procrastination and BOOM! You’re on a one way ticket to being tied to a back of a yellow rental truck being packed in with fertilizer and fuel oil. PUSHED over a cliff by a suicidal Mickey Mouse. Lucky for us, there is a way to redirect that enthusiasm and pull the e-brake. Although it is definitely a good thing to do extra-curriculars, you must remember that school comes first. Use a planner and try to write down everything you need to do ahead of time. Try taking a day to write down in detail your plans for the week and check your planner every night. It’ll save you from certain doom. Doing things ahead is also never a crime. Start projects early so you can finish them early and watch while everyone else is squirming at 4 in the a.m. sucking down coffee and energy drinks like a panda on bamboo and trying to finish the paper that’s due in 2 hours. Another thing that’s important is prioritizing. What’s more important? Studying for the quiz in 3 days or helping a buddy get the last few achievements in Modern Warfare 2? If you picked A, C, or D. You’re absolutely right. That doesn’t mean you can’t study for a few hours and then enjoy some game-play for an hour or so. It’s all about managing time so you don’t explode in the end and complain to people (professors) who won’t give you mercy because they knew you were too busy doing something else. Little things like these take a bit of effort. But hey, you’re paying for it. I don’t know about you but I don’t generally have 16k laying around for me to go on facebook and play video games all day instead of going to class and balancing my life. Make it happen, UML students. Live the dream. Everybody loves money. It would be inhuman to not enjoy having, spending, and wanting more money. However considering credit cards as an additional or alternative source of revenue during your college years is the WORST HABIT you can get into! Those credit card deals in your mailbox might seem sweet, but they are really just stomach souring. Sure, there’s 0% APR for the first six months and a giant credit limit, but the contractual fine print is loaded with fees, interest rate conditions, and credit terms that can change in a matter of 15 days or less! Don’t fall for any of it! Just tear up the offers! You are better off surviving on a small working budget than mounting credit card debt which could cost you in interest payments and fees, especially if you make minimum payments or are consistently late paying. 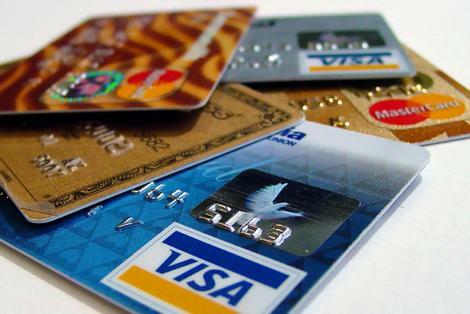 The recent government stimulus bill has gone after credit card companies to prevent them from overextending credit to customers and to give credit holders more flexibility and awareness. Thus lenders are re-framing their conditions to maximize profits and keep their customer base in a constant state of payment. Be smart… Save and Budget !!!! What’s up for this weekend!??! – Asssssk Ashleyyy! Well, it’s finally here. The weekend!!! I hope you all had productive and stress-free weeks. 🙂 There are a few things going on around campus this weekend to keep you guys busy and involved!! RIVERHAWK HOCKEY VS. BOSTON COLLEGE!!! Tonight @ 10:00 PM at the Fox Common! 8 pm in the Fox Common, FREE FOR STUDENTS!! If you attend any of these events, shoot us a message and let us know how you liked it!!! Your Orientation Ambassadors are back and kickin’ for another semester of keeping you all in the loop about what is going on here. Each of your Orientation Ambassadors will be posting their own blogs and posting them to the Facebook page so you can spend countless hours reading what we are doing with our lives. Anyway, I have been busy doing a lot of different stuff like classes and work. I recently landed a job as an RA in Sheehy Hall which is really fun but a lot of work at the same time. I still give my campus tours to prospective families and I will also be doing Orientation over the summer as well. Speaking of Orientation,if you all think back to your own orientation session you probably remember how much fun your Orientation Leaders were having while you acted like you were all really bored. We know you all were having fun though so its cool yo. Anywho, applications to become an Orientation Leader for this upcoming summer are now available in Dugan Room 104 or online at this website: http://www.zoomerang.com/Survey/WEB22A7VZPMDNZ. This year the theme for Orientation is “20X: X Marks The Spot”. Applications are due by February 26th and selection weekend begins February 27th. Hope to see some of you there! Now to some on-campus stuff. The Movies That Rock series is still going on and this Sunday CAPA will be showing “The Men Who Stare at Goats”. It will be shown at the Fox Common on East Campus. There will be no showing on Monday since there are no classes. There is also a dance, which I believe is new, called Fresh Fridays on, you guessed it, Friday. It starts at 10PM so all you that are going to the hockey game, which you all should, can do both the game and the dance! I am sure there will be a ballin’ DJ. As far as the game goes, it is against BC so make sure you and all of your friends go to support your Riverhawks. Well, that’s it from me so have fun with your long weekend! Ashley here. Finally back from break! I’ve had such a busy last few weeks back!! I’m sure you all have, too. I was hired as an RA for this semester, so I’ve been busy learning the ropes in Bouge the last few weeks. I also have a pretty tight course schedule so I’m trying to catch up. I was sick a few days and have been kind of letting my academics slip. I’m locking myself in my room tonight to get to work on the things I need to get done! I’m also taking a class at Northern Essex Community College this semester. It’s American Sign Language!!! I’m so excited about this class because 1) it’s super fun and interesting! 2) I’m learning a totally new language that not many people speak 3) I can now sign the chorus to Miley Cyrus’ “Party In The USA”….great accomplishment!! You should check this out!! It’s so cool!! For any psychology majors, you can take ASL (American Sign Language) to fill your language requirements! The class is at NECC in Haverhill, so you would have to drive there…but honestly, it’s totally worth it. I feel like I’ve learned so much already and I’m becoming a lot more aware of disabilities that other people have that we might not notice day to day. Well guys, make sure to root on the Riverhawks this weekend against BC! The last game we played with them was SOOO INTENSE! Make sure you don’t miss it! 7 pm @ The Tsongas Center! Have a good weekend & Happy Valentine’s Day!